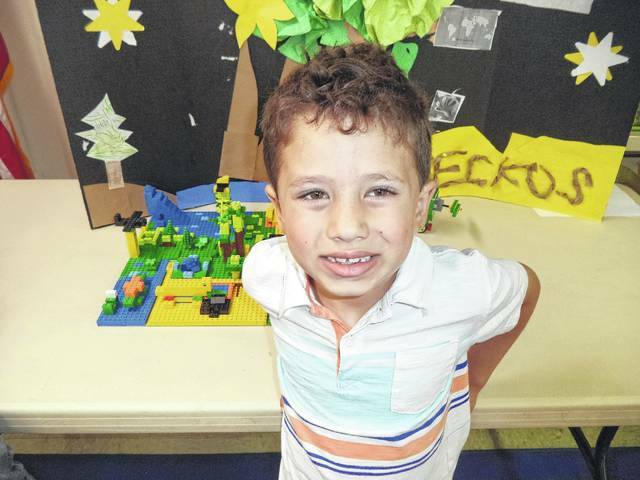 Carter and his teammates built a colorful gecko habitat. Each team won an award based on the strengths of their project. Lane, Ben, and Abrielle used a computer to program the gate on the lion’s cage. Micah, Charlie and Jathan hold their motorized cheetah. Will teaches about huskies with his teammates Mack and Allis. 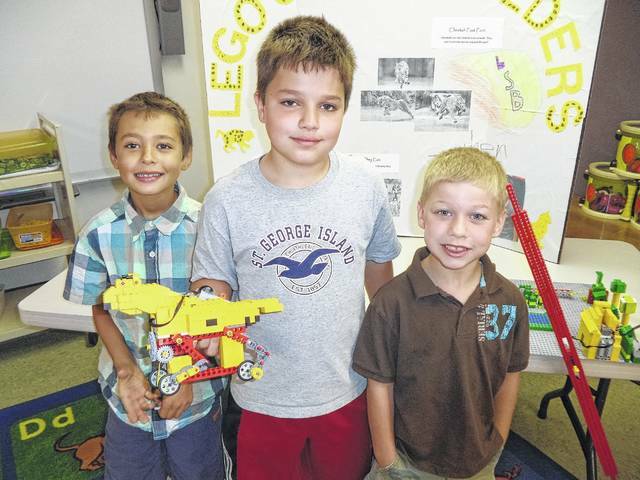 Children at Carnegie Public Library held their annual Lego League Expo Saturday, Aug. 5 at the library. 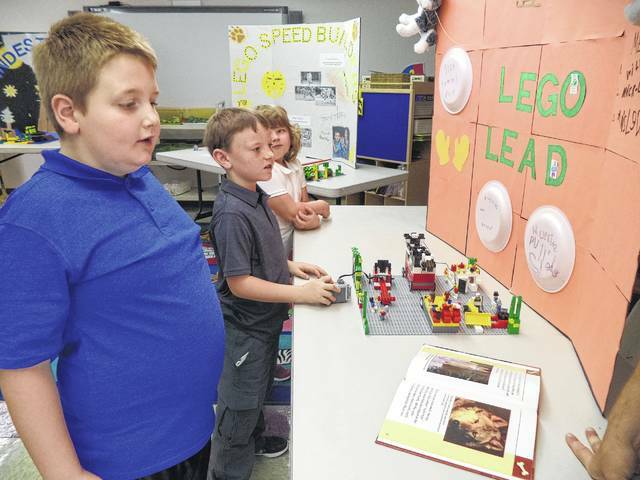 Four teams have studied, practiced and built with Lego bricks for eight weeks this summer in preparation for the expo. Each team learned facts about an animal, its habitat, and other characteristics. They built these facts into their Lego design, which also featured a simple machine and a motorized part. Finally, each team designed a poster so that they could present their work at the expo. Children’s specialist Aaron Teter was pleased with the season. “Lego League is designed to be a fun program for the kids, but we are also educating using STEM. (STEM is an acronym for Science, Technology, Engineering, and Mathematics.) The kids are thrilled to be creative and to build new things, but they are also planning, designing, problem solving, using presentation skills and working in teams. 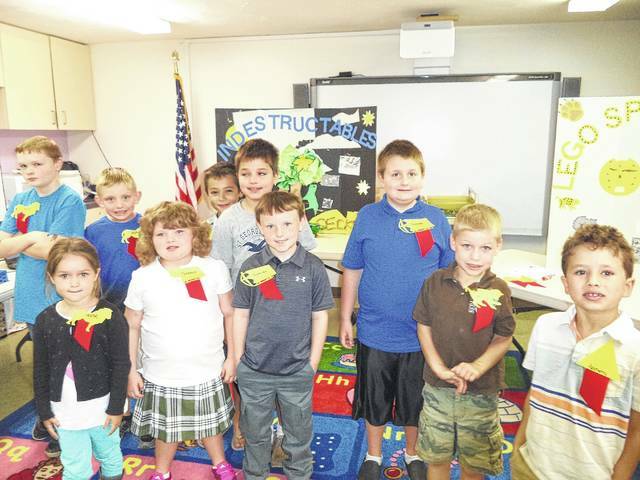 They are learning a lot more than they realize,” said Teter. The league’s projects are on display in the library children’s department. Families can follow the Carnegie Public Library calendar to learn about future Lego and STEM programs. https://www.recordherald.com/wp-content/uploads/sites/27/2017/08/web1_Carter-Weade.jpgCarter and his teammates built a colorful gecko habitat. https://www.recordherald.com/wp-content/uploads/sites/27/2017/08/web1_Each-team-won.jpgEach team won an award based on the strengths of their project. 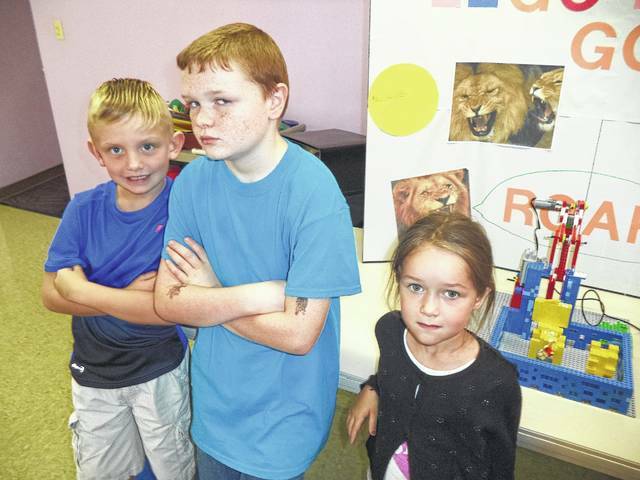 https://www.recordherald.com/wp-content/uploads/sites/27/2017/08/web1_Lane.jpgLane, Ben, and Abrielle used a computer to program the gate on the lion’s cage. https://www.recordherald.com/wp-content/uploads/sites/27/2017/08/web1_Micah.jpgMicah, Charlie and Jathan hold their motorized cheetah. https://www.recordherald.com/wp-content/uploads/sites/27/2017/08/web1_Will-teaches.jpgWill teaches about huskies with his teammates Mack and Allis.